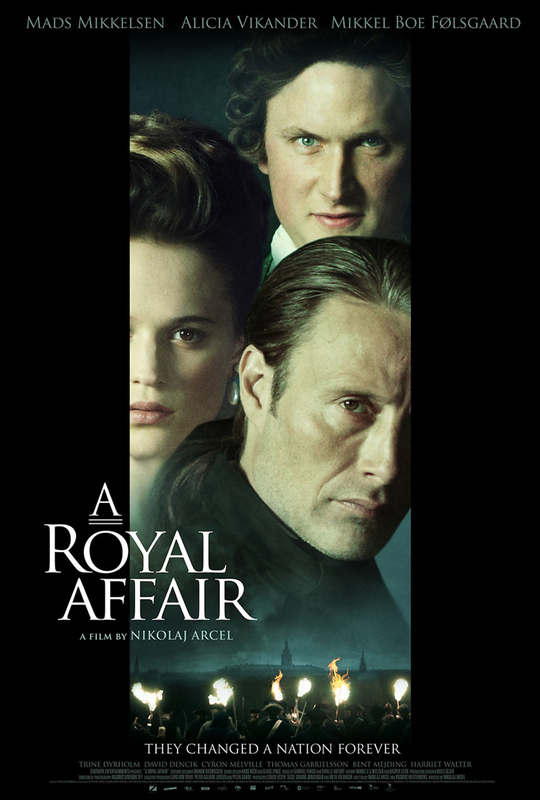 A Royal Affair DVD and Blu-ray release date was set for March 26, 2013. At the young age of 15, English Princess Caroline Mathilde is married off to her cousin King Christian VII of Denmark. She soon discovers that her manic new husband is mentally disturbed, and is relieved when he tires of her and leaves for a royal tour of Germany. While in Germany, the king falls seriously ill and is cared for by skilled physician Johann Struensee. However, Struensee sees the king's sickness as a chance to bring the Enlightenment to Denmark, bypassing the country's corrupt aristocracy. Using his influence with Christian, Struensee begins to institute mass reform. Caroline Mathilde is fascinated by the doctor's free thinking and begins to fall in love with him.